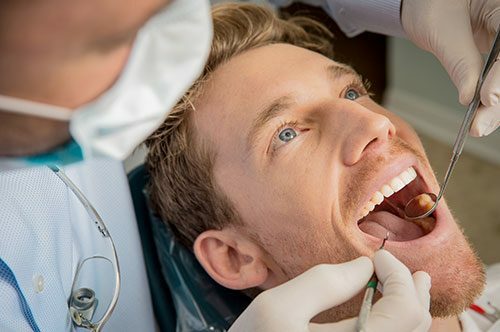 Here at JJ Dental as your Ft. Lauderdale dentists whenever possible we like to offer choices and options when it comes to your dental problems. Most everyone ends up with one or more cavities, and this is a dental issue that should be attended to as quickly as possible. Dental fillings are one of those services that lots of people really don’t like having performed. They fear the discomfort and they are not happy about having to have a foreign substance put into their teeth. Here at JJ Dental we have taken both the discomfort and the dislike out of having to deal with a cavity that requires a filling. It isn’t just a nasty cavity that requires a filling. It could be some mishap that has occurred that has caused your tooth to crack or has become chipped. You will be pleased to learn that gone are the days where a problem such as this or a tooth cavity has to be filled with a horrid tasting metal or a bright piece of gold. The materials that we use to solve these problems could be a variety of substances that we have available. One thing is for sure, that no matter what decision we as your Ft. Lauderdale dentists decide is best, you will be most pleased with the finished look and appearance. Be sure to look at our section on porcelain veneers which gives you a really good idea of just one type of dental solution that we have for the variety of teeth problems that can occur. Don’t let your cavities go unattended which will surely lead to ever greater oral problems. Make an appointment now to see us as your Ft. Lauderdale dentists and let us take care of your cavities the painless way. Call us at 954-463-7262.